The notice came on an appeal by petitioner Rasheed Khan, who has challenged the Allahabad High Court order rejecting the plea for action against the CM for hate speech. 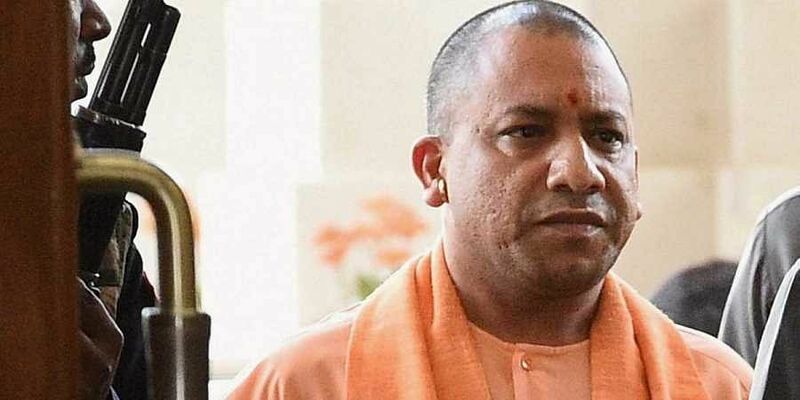 NEW DELHI: Trouble seems to be mounting for Uttar Pradesh Chief Minister Yogi Adityanath as the Supreme Court on Monday sought a response from the state government on a plea challenging an order of the Allahabad High Court dismissing a petition seeking prosecution of the CM in a 2007 hate speech case. The notice came on an appeal by petitioner Rasheed Khan, who has challenged the Allahabad High Court order rejecting the plea for action against the CM for hate speech. The High Court had upheld a decision by the Uttar Pradesh government to deny sanction to prosecute Yogi Adityanath in the case.In May 2017, the Uttar Pradesh government had refused to grant the mandatory sanction for the prosecution of the chief minister. Several incidents of violence were reported in Gorakhpur on January 27, 2007 after the alleged hate speech by Adityanath, who was then the BJP parliamentarian from Gorakhpur. The petitioners have alleged that his speech led to riots in Gorakhpur. Ten people were reported dead in the Gorakhpur riots and Yogi Adityanath was arrested and sent to police custody for 11 days.A bench headed by Chief Justice Dipak Misra issued notice to the state government and the district magistrate of Gorakhpur and slated the hearing after four weeks. Earlier this year, the Allahabad High Court had upheld a sessions court order which had quashed a magistrate’s order taking cognizance of the charge sheet filed by the police in 2009 in the case.The high court had said that the sessions court was right in holding that there was no prosecution sanction to initiate a trial against the chief minister and others in the case. In January 2017, the sessions court in Gorakhpur had quashed the magistrate’s court’s order. The sessions court had said that there was no sanction to prosecute the accused, including Adityanath. The petition filed in the Allahabad High Court had sought a probe against Yogi under IPC sections 302,307,153A,395 and 295. A case was registered by the police in 2008 and was investigated by the Criminal Investigation Department or CID of the UP police. The CID completed the investigation in 2015 and had sought sanction for prosecution that year. The Samajwadi Party government of Akhilesh Yadav was in power in UP then, but did not sanction prosecution.